It was a Christmas gift from my boys, more than three years ago. An adorable birch wood pot, full of dirt and full of hope. It contained an Amaryllis bulb, one they knew I would be excited to grow. A flower of extravagant beauty, I was grateful to receive such a thoughtful gift. I kept the instructions and followed them faithfully. Soon after, the green foliage began to sprout above the dirt. As days passed and time progressed, the leaves continued to reach new heights… but a flower bud never appeared. I nurtured that plant, loved it, reread how to care for it, but as spring approached, the green leaves started to fade as did my hope for seeing this flower bloom. I would have to try again later. This last year, I again brought out the bulb in late fall, but with less hope than the previous two years. Despite all of my best efforts, the bulb only delivered foliage. But I didn’t. I left the pot on the outdoor shelf on my patio, resigned to give it one more try again this fall. Surprisingly, something I hadn’t anticipated happened. About a month ago, in mid July, I noticed a strange thing. The bulb, that was never-delivering, always-taunting, that bulb that was highly uncooperative… was growing new leaves. What?! I was a bit confused. So it was decided, along with our other outdoor garden plants, we would water it, just to see what would happen. What could it hurt, right? It took three years to capture this photo. The photo I took yesterday isn’t something I would necessarily deem exceptional, or worthy of such attention as I’ve given it. But the story, the journey to capturing the image? That, to me, is priceless. The image is a reminder to persevere despite all odds, a reminder to never give up, to remain hopeful, despite what circumstances make me want to believe. It’s a reminder to persevere, even if it takes three years. What challenges do you need to persevere through? 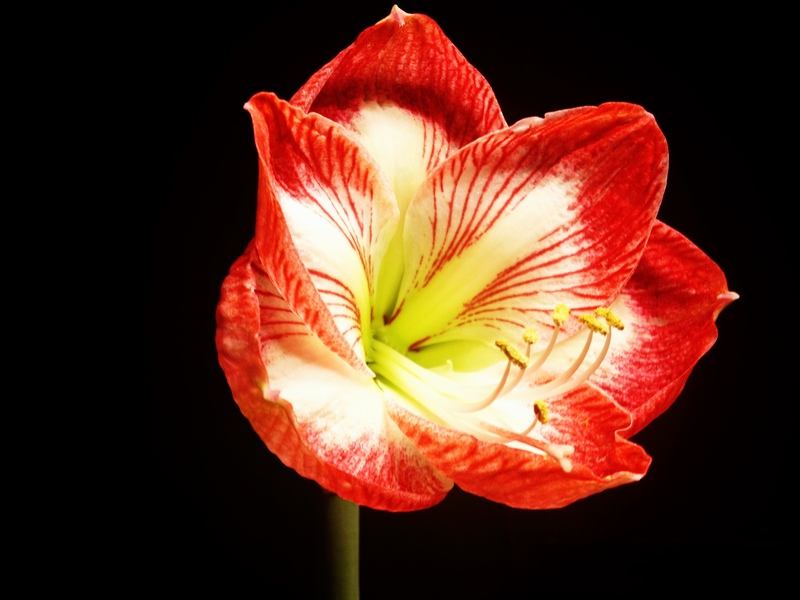 Posted in art, life, photographyTagged Amaryllis, art, flower, gardening, happiness, hope, life, oregon, Pacific NW, perseverance, photo, photograph, photographyBookmark the permalink. A flower may hold the lesson you and I need to hear today (tonight). Thank you Jaklyn Larsen for your perseverance, and your writing. Your story gives me hope. Hope for a loved one who I have prayed for, nurtured, begged pleaded and almost at times given up on .. Yet I continute to have hope however small, even like a mustard seed , as your mother reminded me of today. I refuse to give up on the one I love so much. If I were to give up quit watering her soul then what would that say of my faith? I trust that she will bloom into the woman, mother , daughter God wants her to be. Thanks Jaklyn for your story. It’s a very beautiful bloom, and an inspiring story! Thank you, though I still feel the photo didn’t do the bloom justice! It’s always interesting to see where inspiration can be found.